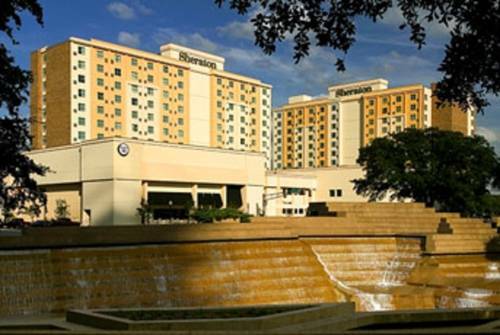 Sheraton Fort Worth Downtown Hotel welcomes travelers to Texas with spacious accommodations, superb service and thoughtful amenities. Recharge in our pet-friendly hotel rooms and suites. Our mid-century modern designed rooms feature the Sheraton Signature Bed, mini-refrigerators, flat-panel TVs, large work desks and basic Wi-Fi. Club Lounge rooms grant access to Lounge facilities and perks like complimentary breakfasts and afternoon snacks. Upgrade to a suite to benefit from separate living rooms, wet bars, sleeper sofas and 4-poster beds. Work out in our 24-hour Sheraton Fitness Center, take a dip in our indoor pool and savor delicious American cuisine at Chef's Table. Our hotel also offers 22,000 square feet of updated indoor and outdoor event space, ideal for everything from grand weddings to small seminars. Guests can walk to the Fort Worth Convention Center and Molly the Trolley passes in front of our property. The hotel also is near the historic Fort Worth Stockyards, TCU and Billy Bob's Texas. Chef's Table: Chef's Table, the signature restaurant of our downtown Fort Worth hotel, tempts patrons with American-style favorites, as well as a lively atmosphere. Come in after Convention Center events for tasty food, drinks and game day viewing on our HDTVs.